Bring your car to RD Motors – Hamworthy, Poole for a ‘while you wait’ (appointment required) MOT test or leave it with us for longer if that suits you better. 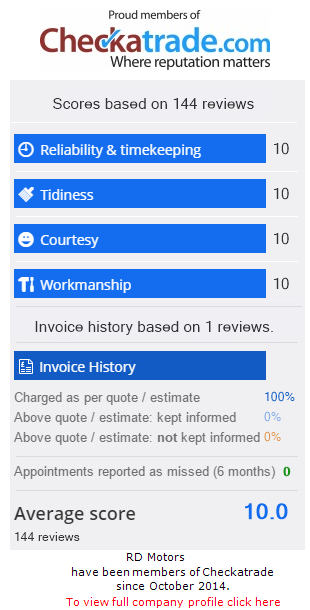 We will let you know as soon as the test is completed and our mechanics will clearly explain any failure points or advisory notes and discuss your options with you. Our MOT team will carry out a thorough inspection of your vehicle to ensure it is in a roadworthy condition at the time of the test, in compliance with the Ministry of transport. All cars are due an MOT test 3 years after they were first registered (you will find this date on your V5 document), then every year after. Main vehicle body & structure: We check that the body is free from excessive corrosion or any specific areas of damage. We also check there are no sharp edges that could potentially hurt someone and that tow bars are fitted correcty and thier condition. Fuel System: The primary concern is that there are no leaks from the system but we also ensure the fuel cap seals correctly. With this in mind, ensure the key is available so we can open it. 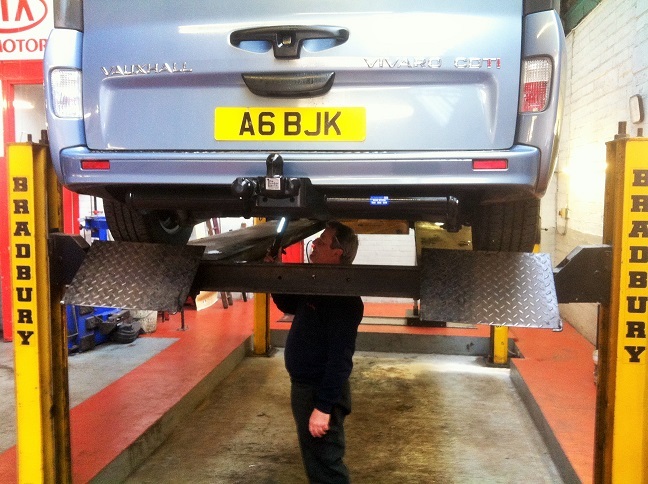 Emissions: Our Hamworthy MOT team check that the vehicle meets the legal requirements for exhaust emissions. We take into account the age and fuel type of the vehicle. Exhaust system: This needs to be secure and in reasonable condition, with no serious leaks or excessive noise. Seat belts: The MOT test insists all belts installed and we checked for the right type, condition and operation. All compulsory seat belts need to be in place. Seats: We check that all seats are secure. inside and outside the vehicle. Mirrors: We check that the vehicle has the minimum number required and their condition and security. Boot / tailgate: Must be secure in the closed position. Brakes: This is a key part of the MOT for obvious reasons. Our Hamworthy MOT team check the condition, operation and performance of your brakes. Tyres / wheels: Again a key part of the MOT test and we check the condition, how secure they are, the size/type and tread depth. There’s no need to inspect the spare tyre. Registration plates: As well as the condition of the plates, our Hamworthy MOT team check the colour and that the characters are correctly formed and spaced apart. Lights: We test their condition and operation, including the headlamp aim. Bonnet: This must close securely. Windscreen & Wipers/washers: The MOT requires that all function correctly to give the driver a clear view ahead. Horn: The operation is tested and we check that it’s of a suitable type. Steering / suspension: We test their condition and operation. Vehicle identification number: These are present on vehicles first used from August 1980 onwards. There should only be one VIN displayed, unless it’s a multistage build vehicle. 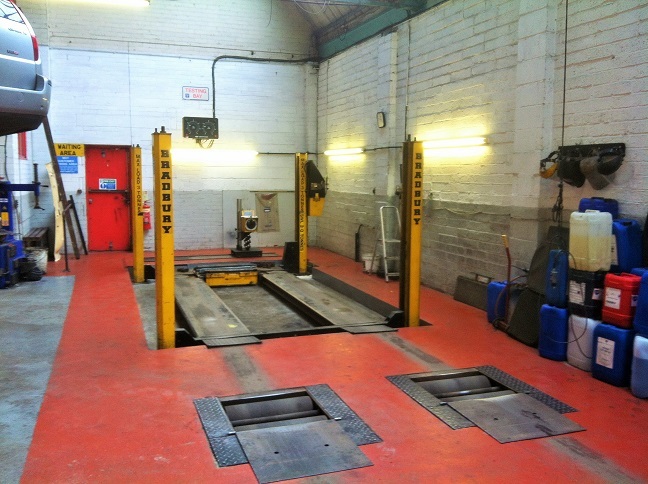 We do not test the condition of the engine, clutch and gearbox on the MOT test.